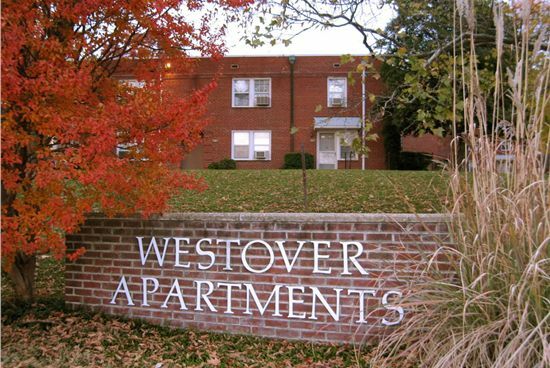 The Arlington neighborhood called Westover is a neighborhood about a mile east of the East Falls Church Metro and about 1.8 miles west of the Ballston Metro. It is centered on a group of neighborhood shops: Lost Dog Pizza, Lebanese Taverna and Ayers Variety Store among others. The #2 Metrobus runs directly through the center to both Metro stops, although the majority of riders I've seen take the bus to Ballston and then transfer to Metrorail there (or Ballston is their destination). I think this is a good example of two nodes that would benefit from a simple, easily accessible and usable schedule. If designed to be the size of a business card folded once, it would easily fit in a wallet. There's no need for a map or a lot of other destinations or really anything else. It would serve most of the people who might ride the bus to or from the Westover area. It's so easy, it might lure people who pick up one of these schedules at the ice cream shop to consider taking the bus. There are certainly dozens of these nodes that directly connect two locations together and are highly used. A couple obvious ones to me are Shirlington-Pentagon and Shirlington-Ballston. Especially now that Arlington has built their nice, new transportation center in Shirlington, providing riders with really easy pocket schedules would be a great boon for users. There are several different routes that serve these points, so having a concise, combined schedule would simplify information and make it more accessible. One of the big barriers to people riding the bus is they don't know when it comes. NextBus is one tool to help with that, but it doesn't tell me when I can get back. It also doesn't help me with, say, tomorrow. The WMATA web site can, but a pocket schedule like this requires no computer, no smart phone, no Internet connection and is probably way faster than any of those. It can sit on the counter of a coffee shop and be tucked in a wallet and used immediately. I imagine there are scores, if not hundreds, of these highly used node connections. Would it make sense to print all these individual pocket schedules? Maybe not a bad idea. By being enterprising, this might be a good way to get more people on the buses while partnering with local businesses. Why not get a local business to sponsor the schedules to offset the costs? They could pay for the printing, which would be a relatively low-cost advertising vehicle, and they would get a little space on the pocket schedule for their marketing message. It's highly geographically targeted marketing, since the only people who would be interested in that particular pocket schedule are those who travel to or from that one location. While Metro is spending millions on rail cars and infrastructure maintenance and upgrades, and billions on a new rail line, there are truly low-cost/no-cost measures that can make the system run better. I've proposed a couple in the past (the Farragut Virtual Tunnel and A/B rush-hour service). This is another of those. Intelligently done, these simple little pocket schedules could be provided for free (both to passengers and for Metro) to thousands of riders and make riding the bus way easier.